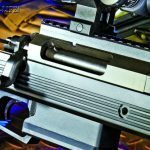 AR-10B magazine-fed countersniper built for sub-MOA precision! The new AR-31 in .308 Win. from ArmaLite combines the benefits of the AR-30A1 platform with the AR-10 magazine system for a highly capable LE precision rifle. Shown with a Trijicon 5-20×50 scope, a Trijicon RMR reflex sight and a Harris bipod. 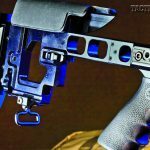 The AR-31’s magazine well is designed to accept ArmaLite’s AR-10 magazines for more on-tap firepower when needed. The AR-31’s muzzle brake is highly effective for reducing perceived recoil. It can also be removed for suppressor use if needed. The AR-31’s paddle-style safety, located at the rear of the bolt assembly, is unobtrusive yet easy to manipulate without shifting your grip. 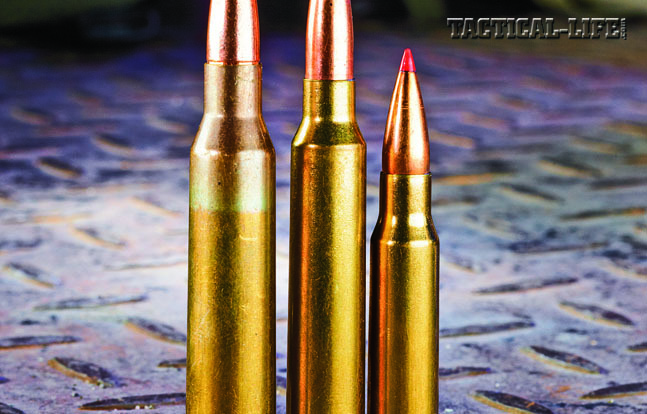 The .308 Winchester (far right) is better suited for many closer-range LE engagements than the .300 WM (center) and .338 LM (left). 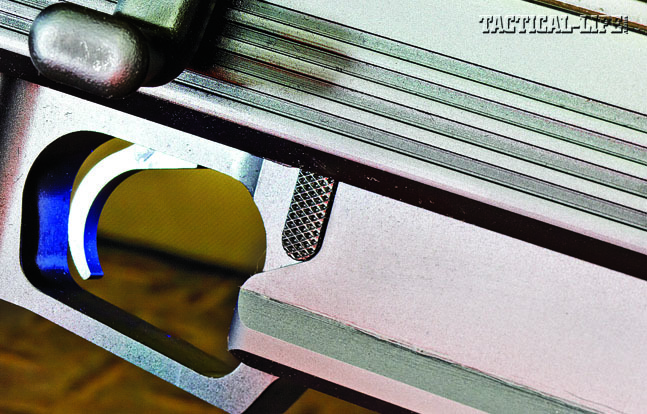 The magazine release, located on the side of the magazine well forward of the triggerguard, proved to be intuitive to engage. 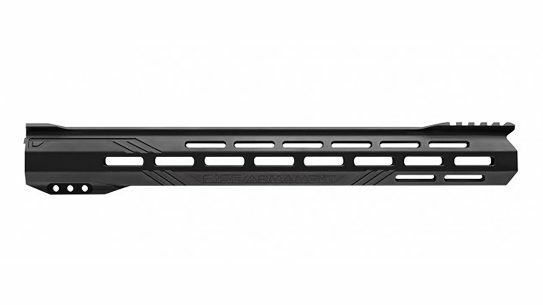 The skeletonized buttstock is adjustable for cheek height and length of pull while still being very stable and lightweight. The ejection port of the AR-31 allows users (with proper training) to single-load rounds directly into the magazine. A continuous strip of Picatinny rail along the top allows users to fit a variety of optics as well as night vision or thermal equipment. 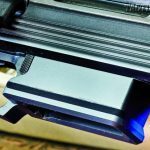 With capacities ranging from five to 25 rounds, the AR-10 magazine system gives operators plenty of operational flexibility. 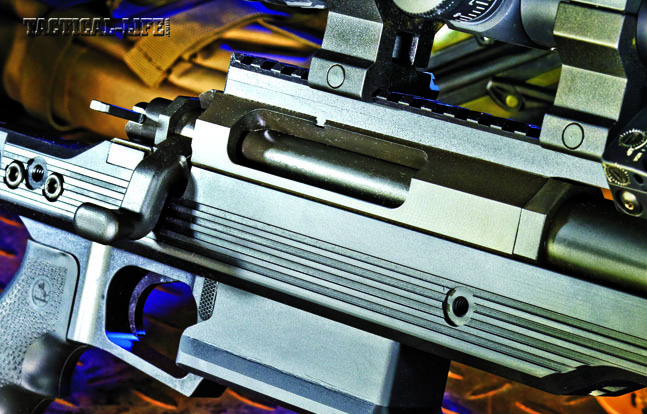 ArmaLite has been building quality precision bolt-action rifes for more than a decade now. The company’s AR-30 has been immensely popular, and the changes developed for the AR-30A1 were huge. 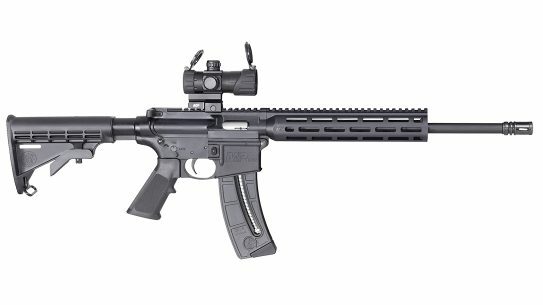 These next-generation rifles included more ergonomic stocks and significant attention to detail. I’ve spent plenty of time at the range with the AR-30, and I also spent some time testing the AR-30A1. 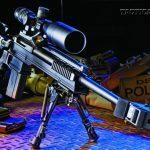 Its buttstock provides for easy length-of-pull and cheek height adjustments, and the continuous top rail provides ample space for scopes and even night-vision gear. The rifle also features a very effective, well-known muzzle brake. Chambered in .338 Lapua and .300 Winchester Magnum, the AR-30A1 was accurate, easy to shoot and very well constructed. 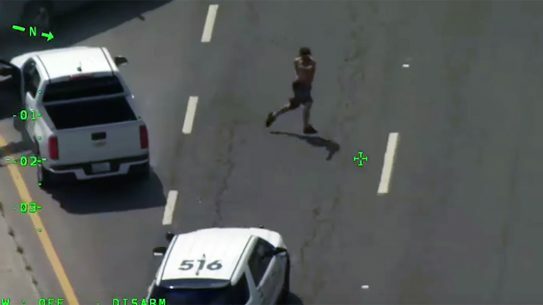 But, while these calibers certainly have their value, they can be rare in real police work. 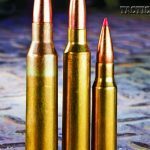 This realm remains the purview of the .308 Winchester, and it was only a matter of time before ArmaLite created a .308 rifle with an updated profile—the AR-31. 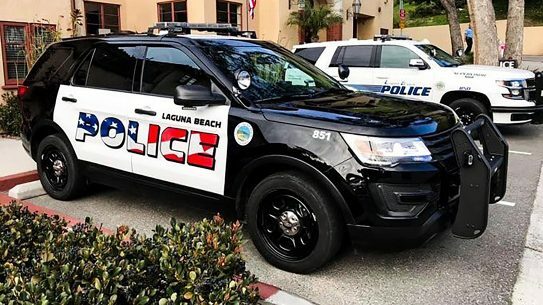 The AR-31 is another big step forward in providing a viable option for police officers and departments in need of a precision rifle. 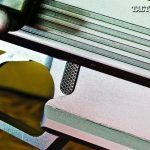 Starting with the impressive chassis of the AR-30A1 series, the AR-31’s V-block design cradles a shortened action optimized for the .308 Winchester. The bolt operates smoothly. While this early sample test rifle featured a flat knob, production models will utilize round tactical knobs. 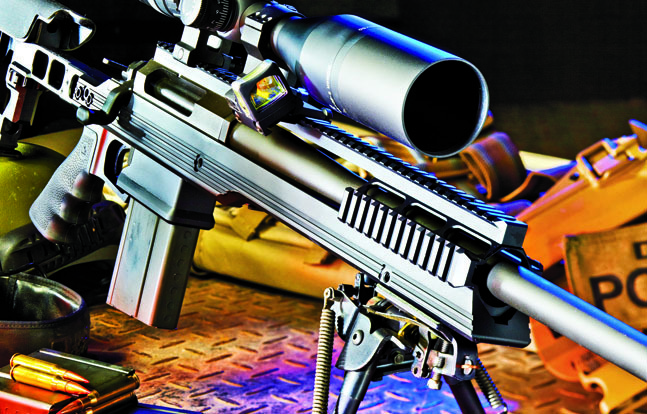 The AR-31’s continuous 20-MOA top rail makes scope mounting and long-range shooting easy. Side rails are available for mounting other accessories. 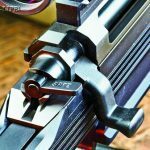 At the rear of the rifle, operators can adjust the length of pull and cheek height, which helps the rifle solidly fit a broader range of shooters. 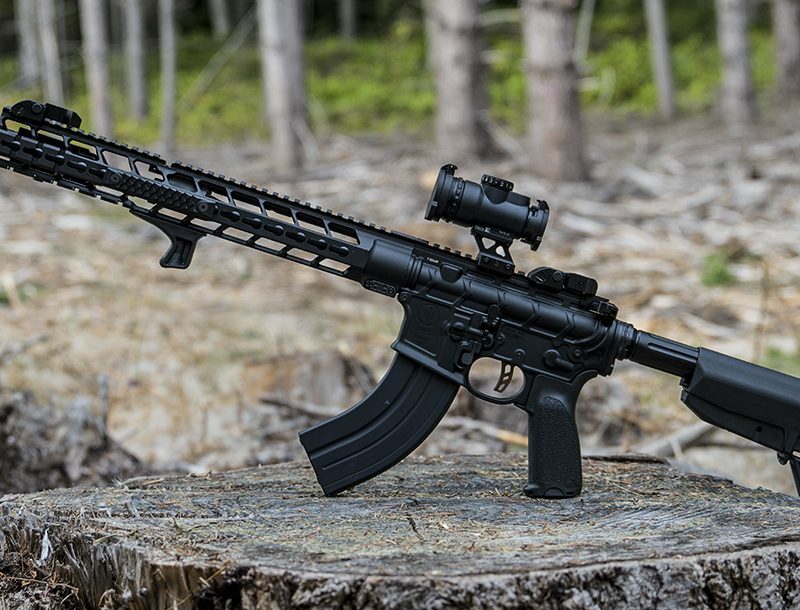 ArmaLite equips the rifle with a 24-inch, match-grade barrel. The specially designed muzzle brake is attached with 5/8-24 threading, which can also accommodate most rifle suppressors in this caliber. Other than its chambering, the biggest difference between the AR-31 and AR-30A1 series is the magazine well and magazine. A wide and deep magazine well now accepts the ArmaLite AR-10B magazines. 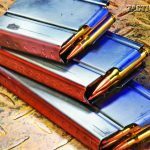 Used in the company’s AR-10 series of rifles, these all-metal magazines have proven reliable and durable over the years. 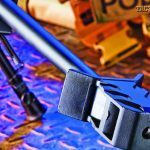 Their capacities range from five to 25 rounds, and these magazines allow you to swap ammo between your precision rifle and your AR-10 with ease. 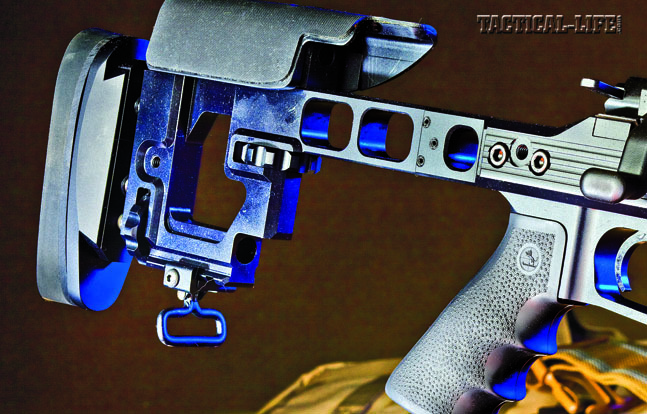 For the AR-31, the paddle-type magazine release has been replaced with a right-side-mounted push button more in line with an AR-10’s, allowing for fast reloads when needed. 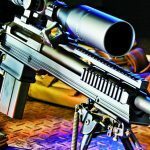 Finally, the rifle is given a mil-spec hardcoat anodized and phosphate finish for looks and durability. Muzzle brakes are all but mandatory for magnum-class rifles, but the .308 offers little recoil making them not a total necessity. And, considering that few police marksman deploy with ear protection, brakes can also be potentially distracting on deployments. My preference is a sound suppressor, and thanks to Gemtech, I could test the AR-31 with one. I removed the muzzle brake and replaced it with a Gemtech Sandstorm titanium suppressor. At 13.3 ounces, it is the lightest precision rifle suppressor I have tested. Shifts in impact are all but nonexistent, and the weight keeps your rifle balanced, especially with longer barrels. Installation was easy, and the Sandstorm threaded right on without any issues. Sighting was accomplished using the new Bushnell Elite Tactical SMRS 1-8.5 x24mm scope mated to an Alamo Four Star DLOC 34mm mount. Bushnell’s Elite Tactical scopes are rugged, reliable and easy to use, and they provide excellent clarity. The 1-8.5X magnification range is perfect for real-word police operations. 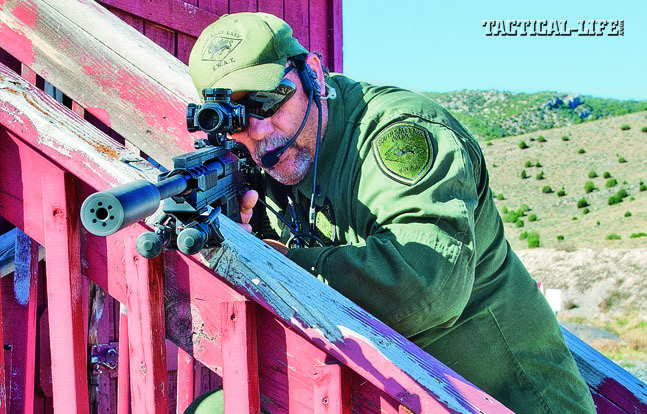 With statistical averages for deployments hovering around 50 yards, mounting telescopes to your police rifle adds weight and narrows your field of view. The first-focal-plane BTR-2 reticle is simple, with a lighted “doughnut” for fast target acquisitions and mil lines for holdovers. 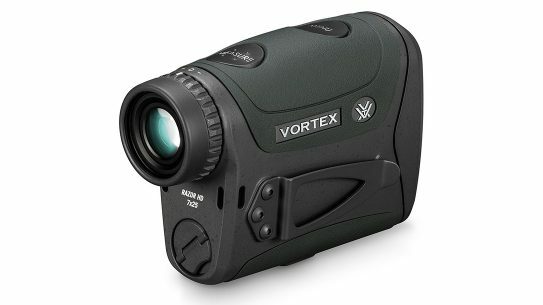 Bushnell’s T-Lok turrets are in my opinion some of the most user-friendly on the market. They lock in place and are large, tactile and easy to adjust. With 0.1-mil clicks, the math is kept simple. Alamo Four Star’s DLOC mount installs easily and has a return-to-zero guarantee. Lastly, I used the AR-31 as a test platform for an L3 Light Weapon Thermal Sight (LWTS). For those units looking for mission-specific target observation gear, these sights are the future. 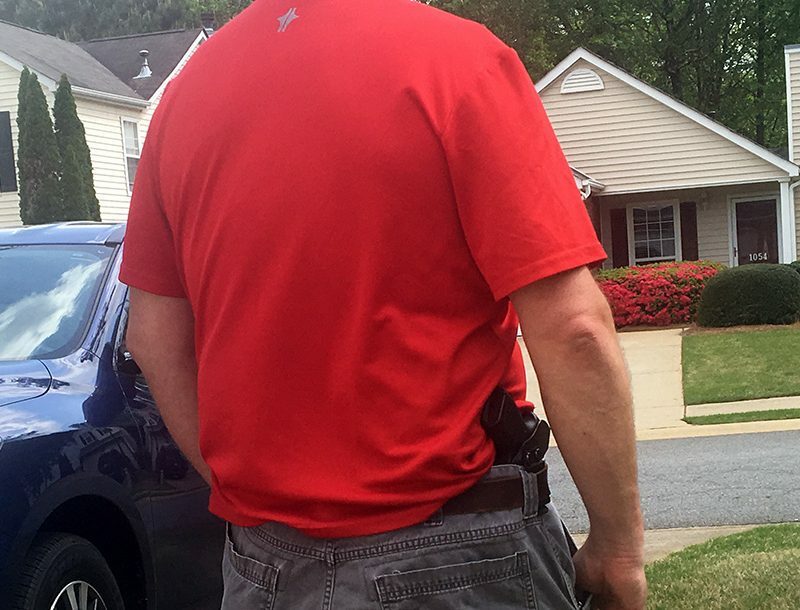 Thermal imaging can be used day and night, and it’s great for identifying hiding threats. This sight can be used on its own or mounted in front of your optic. The AR-31 was the perfect platform, as its continuous rail provides tons of room, especially with the Bushnell scope’s 24mm objective. Having used ArmaLite AR-30 rifles almost since their introduction, I have always found them to be accurate. The newer AR-30A1 rifles only confirmed this during testing, as they consistently yielded 0.5-MOA groups. The AR-31 did not disappoint, either. My best group, produced with Silver State Armory’s 168-grain BTHP ammo, measured 0.29 inches at 100 yards. In fact, most of the rounds tested grouped under 0.5 inches with excellent consistency. Firing 10 shots at a pretty quick pace, the AR-31 put all 10 rounds into about 0.75 inches. Moving out to 300 yards, the Federal 175-grain Gold Medal Match load took the day, with my best group measuring just a tad under an inch. The Gemtech suppressor really helped keep this rifle in place during shooting, all but eliminating muzzle rise. 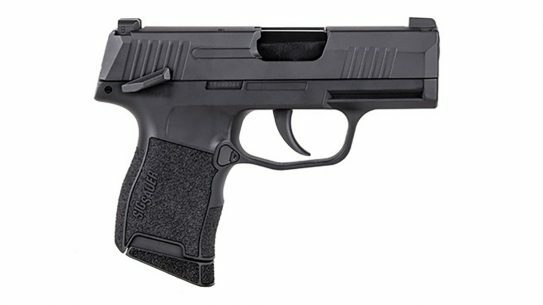 It also keeps recoil—already mild—at bay, making for fast follow-up shots. I also came to appreciate Bushnell’s BTR-2 reticle during the accuracy testing. While lines are there if needed, it is otherwise uncluttered. Centering threats (especially somewhat round ones) in the middle of the horseshoe is very fast, so repeat shots come quickly, while the center dot provides for excellent precision. It may not be optimal for long-range competition, but it’s well suited to real-world deployments. Shooting from kneeling and other unsupported positions was surprisingly easy. 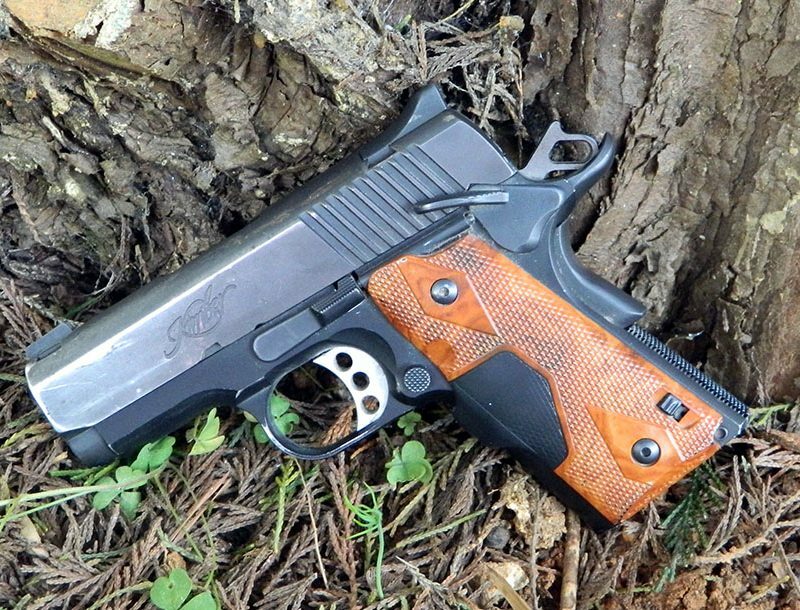 Most police applications have little need for a 24-inch barrel, so I generally prefer a 20-inch or shorter barrel, but this one balanced nicely—even with the suppressor attached. 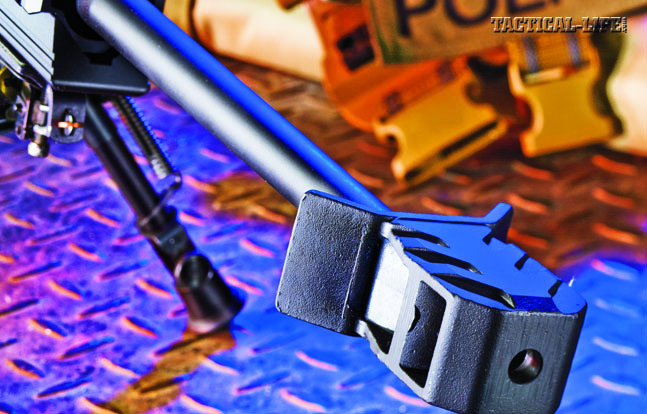 Prone is easily the most common deployment position, but rapid deployments may require the use of a barricade, tire or a braced kneeling position. The flat bottom of the AR-31’s forend made it easier to use supported on a staircase rail, barricade and various parts of my truck. 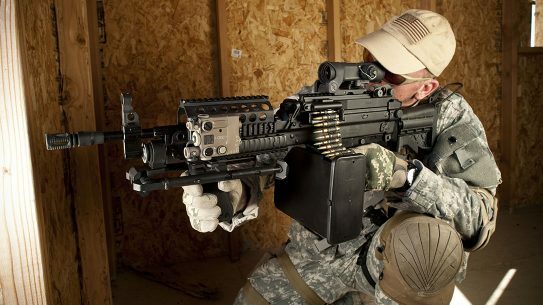 Taking a braced kneeling position, the AR-31 sits flat in the hand and balances well. Dropping to prone was easy, and if I grabbed the rifle’s forend when picking it up to move, it was not barrel heavy. Bushnell’s scope shined here as well. The eye box (available eye relief) is pretty generous, making it easier to use hasty, unconventional positions. 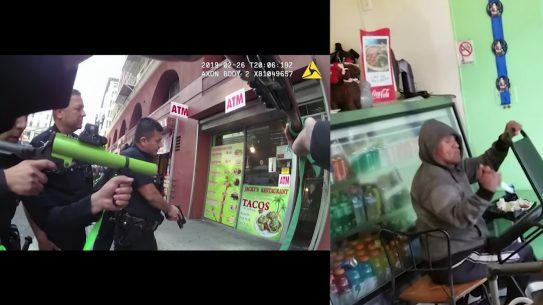 Police deployments, especially active-gunman scenarios, may not allow you time to get the perfect position behind the rifle. High-power scopes with compressed eye reliefs are great on the range but can be an issue in an urban environment. Having 3.5 inches of eye relief is a big help. This BTR-2 reticle also shined here, letting me get on target really quickly. Rapid fire with the AR-31 was pretty easy, although the flat bolt handle is still problematic for me. I’ve spent years using extended bolt knobs. You just don’t “reprogram” close to two decades of bolt manipulation over night. Production models are going to come with a round knob, which I feel will be great for those of us more accustomed to the standard configuration. The AR-31’s bolt operation was really smooth, and ejection was excellent. Even on rapid-fire strings, the bolt lift did not increase much, meaning the suppressor worked pretty well. When you’re shooting suppressed, you learn to wait a bit before operating the bolt in order to let the pressure release. Generally, it may take a bit more effort to lift the bolt by the third round. 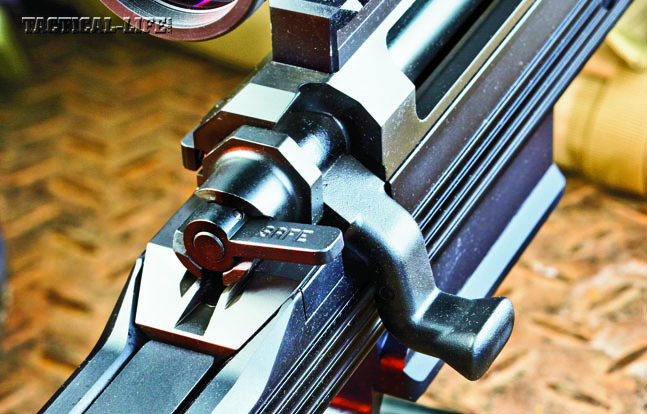 Often termed “bolt lock,” this can be an issue, but it wasn’t with this rifle. 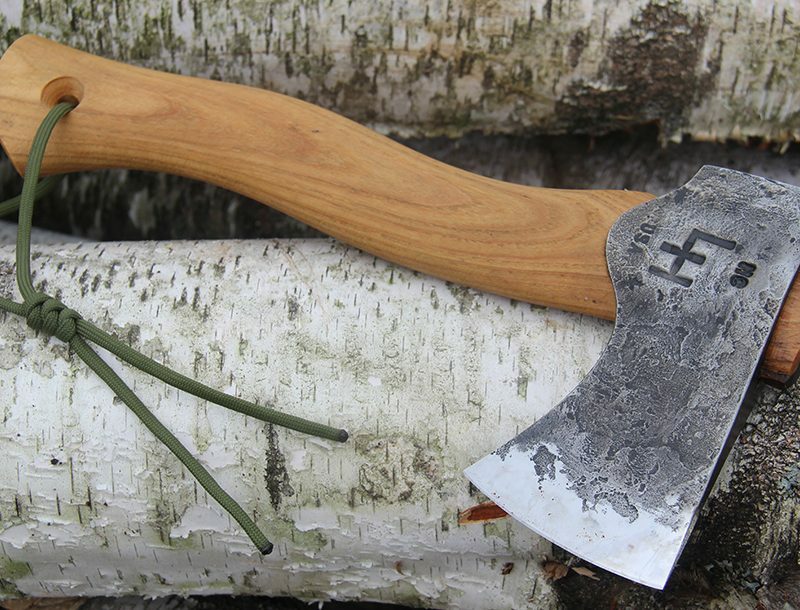 The trigger, crisp and predictable, is well suited to duty use. I tested the AR-31 with 10- and 25-round magazines. Both were flawless, and the feeding was smooth and consistent. Because of their designs, the bolt locks open on an empty magazine, something you will need to get used to. While this is essential on an AR-10, it will be different for anyone used to a standard bolt action. 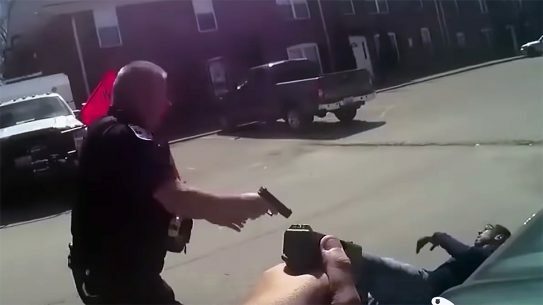 I’m not sure if it is a practical issue, since few police marksman operations expend more than one round, let alone 26, but it is certainly a training issue. It also complicates drop-in single-round feeding. The ejection port is generous, so you can single-load, but you really need push the round into the magazine. 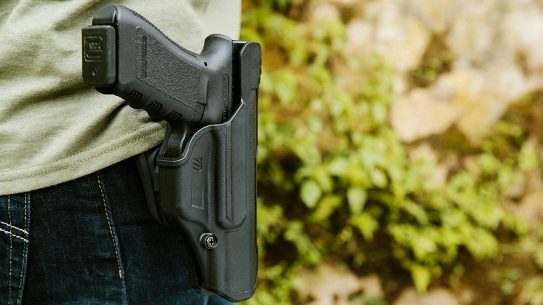 If you single-load as a part of your qualification or training protocol, it will take some work. Accessing the magazine release was very intuitive, since it is the same as an AR’s. Both magazines dropped free and inserted easily. This may be the best practical aspect of this system. Many marksmen deploy with a carbine, often a .308 AR-10. This means you can carry one magazine type for both your precision rifle and approach carbine. 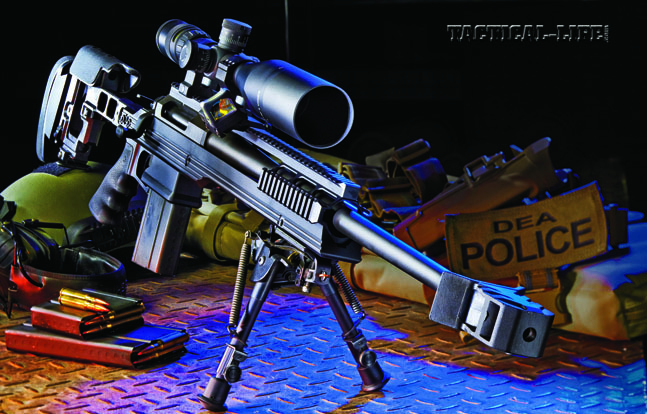 While the AR-31’s 24-inch barrel is very accurate, it can be a bit long for urban deployments. If you realistically deploy at beyond 600 yards, 24 inches is fine, but it’s not really necessary. 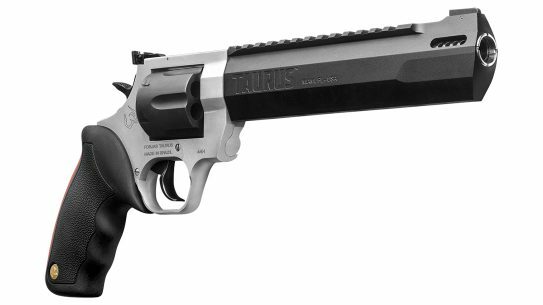 Having a 20-inch barrel option would be nice for those agencies with no need for long-range ballistics. This is an excellent barrel, so shortening it should be easy. If this were my deployment rifle, I’d get the barrel cut to 19.5 inches and threaded for suppressor use while still being able to fit in a standard bag. 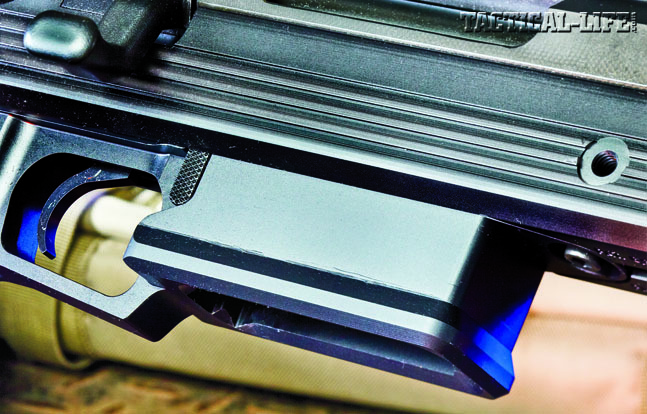 The move to the AR-10 magazine is a huge improvement—especially if you have an AR-10 deployment carbine. The AR-31 fed flawlessly, and this capability provides for a ton of versatility. Being able to top-feed into the magazine is also a big plus. 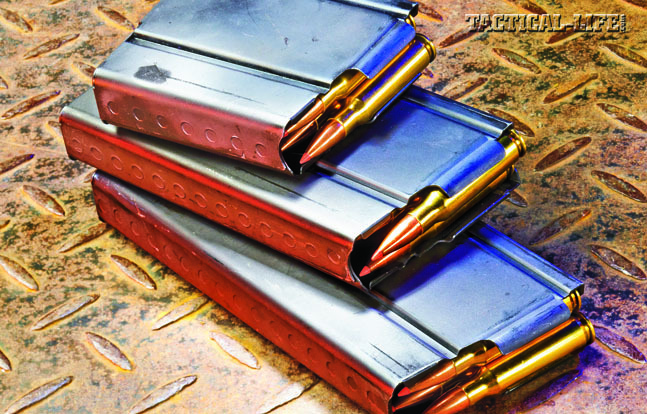 Single-feed magazines are great, but having run bolt guns with double-stack magazines for years, it remains the best alternative. You can swap magazines if needed or top-feed when required, giving you the best of both worlds. ArmaLite has a real winner here in the AR-31. 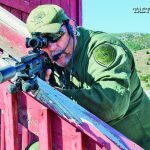 It was accurate and reliable—even with the suppressor. The Target chassis accommodates most scopes and night-vision or thermal sights. Each new improvement ArmaLite makes on this platform has been impressive, and the AR-31 only continues this trend. 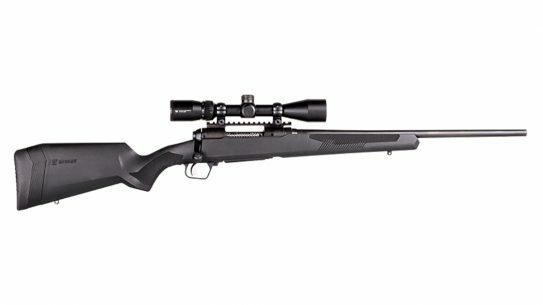 If you are looking for a solid rifle with excellent precision and solid ergonomics, give this rifle a try. 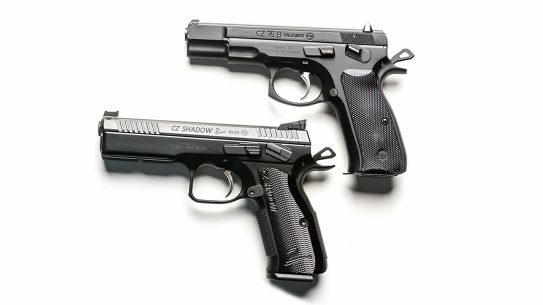 For more information, visit armalite.com or call 800-336-0184. 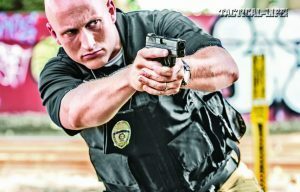 Life-saving backup gun carry tips to ensure LEOs survive when their primary gun goes down!